A Waco police officer keeps an eye on the Lakewood Villas apartment complex in March 2011. The Texas Court of Criminal Appeals reversed the capital murder conviction and death sentence of Albert Leslie Love Jr. on Wednesday, ruling text messages were improperly used against him because they were obtained without a warrant. Love was convicted and sentenced to death after a trial in Williamson County in 2013 in the March 2011 shooting deaths of Keenan Hubert, 20, and Tyus Sneed, 17, at the Lakewood Villas apartment complex, 1601 Spring St. The court, in a 6-3 opinion with three dissents, awarded Love a new trial because his Fourth Amendment rights were violated when the contents of his text messages were improperly admitted against him because they were obtained without a warrant. Love will be returned to McLennan County to await another trial. The reversal sent shock waves through the McLennan County Courthouse, where officials were unclear if Love’s retrial can be held in McLennan County, if it will be returned to Williamson County or moved to another county. Love’s trial was moved to Georgetown because the trial of his co-defendant, Rickey Donnell Cummings, was held first in Waco. Cummings’ conviction has already been affirmed by the appeals court. McLennan County District Attorney Abel Reyna and his first assistant, Michael Jarrett, did not return phone messages Wednesday. Former McLennan County prosecutor Greg Davis, who led the prosecution team in Love’s trial, said Wednesday the Court of Criminal Appeals has been reviewing cases involving access to cellphone records for some time. When Cummings and Love were prosecuted, federal law required they be obtained in that manner, and neither state nor federal law at that time required a search warrant, Davis said. Since those trials ended, the court’s rulings have changed, he said. “Now, some five years later, the court has for the first time decided that a search warrant is in fact required to obtain such records. Further, the court has chosen to apply this new requirement retroactively in this case, despite the fact that the records were obtained in accordance with the law as it existed at the time. While I certainly respect the court’s decision, I deeply regret the effect it will have upon the families of the victims in this case,” Davis said. Cummings, like Love, is a Bloods gang member who was sentenced to death in 2012 for his role in the double slaying. 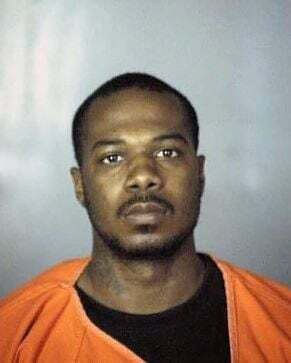 Cummings’ younger brother, Darvis Cummings, was sentenced to 20 years in prison in September 2014 after he pleaded guilty to murder as a party to the ambush slayings. Deontrae Majors and Marion Bible, who were in the front seat of the car, were wounded in the attack but managed to flee to safety. Prosecutors told the jury at Love’s trial that Cummings and Love wanted to kill Hubert out of revenge because they thought he killed their best friend, Emuel “Man Man” Bowers III, at East Waco Park the year before. It mattered little to Love, the prosecutors said, that three other men were with Hubert in the car when he opened fire with his AK-47, spraying at least 19 shots with the high-powered assault rifle. Prosecutors introduced Love’s cellphone records, which included 37 pages showing the contents of about 1,600 text messages. Trial testimony showed that Bowers’ mother, Shelia Bowers, whom Love and Cummings called “Mama Shelia,” was upset that Waco police investigators had not arrested anyone in her son’s murder. Prosecutors showed photos of Love’s numerous tattoos that tie him to the Bloods gang. On his right arm are the words “R.I.P. Man Man” next to a tattoo of an AK-47.